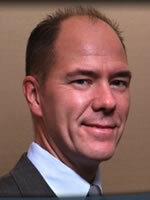 Kevin is the Office Managing Director of the Chicago office of Andersen Tax. He has over 20 years of experience in advising clients on a broad range of tax matters from transactional planning to compliance with ASC 740 and regulatory tax filings. Kevin focuses on providing integrated tax planning for private equity groups and middle market companies and on the coordination of delivery of tax consulting and compliance services to his respective clients.